The Director stopped going to dinner with my family because he says that “all you guys eat is sketchy Asian food!” I would usually be offended because I am very proud of the delicious Taiwanese cuisine that I grew up on but after thinking about it I realized that some of the foods that I love to eat are indeed extreme, especially to the American palate. I’m super excited to munch on some fried tripe, dried squid jerky, crab brain rice, and the squiggly parts of the calamari! It seems to stem from a deeper appreciation of the animal that the Chinese make use of what Anthony Bourdain calls “The Nasty Bits”, the parts most people would wastefully throw away. Those are some of the most delicious bits! I find it very strange that many people are totally disgusted to eat anything with a face on it. For example, to be served an entire fish, Chinese style, is somehow off putting. I think the presentation of a whole fish at the table is extremely beautiful and celebratory. I admire how Anthony Bourdain takes special effort to be present during the entire food preparation process, from the killing, skinning and gutting of a pig for example. It’s important to know where your food comes from and know that an animal died to feed you, it gives you a deeper appreciation of the food that you eat. Also loving the nose to tail trend in chef circles these days. There is a growing movement amongst chefs recognizing the importance of using every part of the animal and similarly the importance of sourcing local foods on their menus. Its interesting that bone marrow is now very accepted on all hipster menus everywhere as a desirably delicious dish! 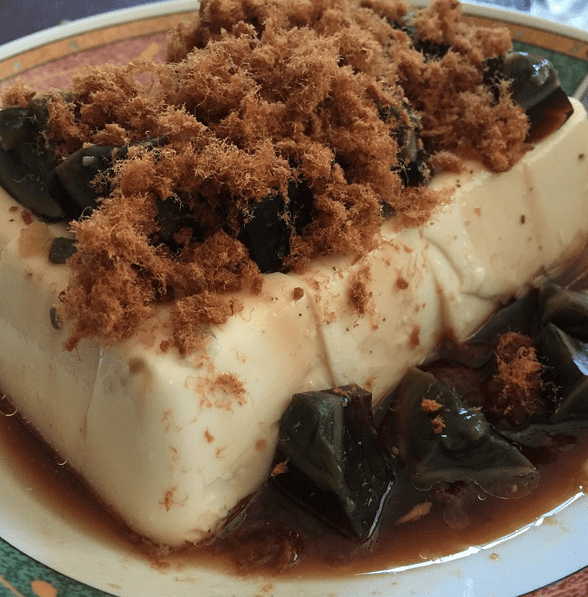 Pork Sung with Thousand Year old eggs on top of silky tofu?? Yes please! 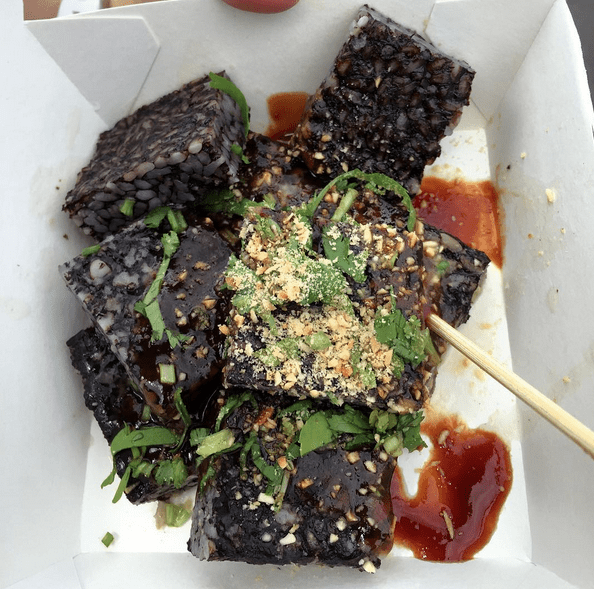 Stinky Tofu literally smells rotten, like dirty sewer water. I can’t explain to you why it is, but the disgusting smell somehow makes the tofu even more delicious. It’s probably just because I have associated that unmistakable odor with its delicious taste. It’s been said that the stronger the smell, the better the flavor! 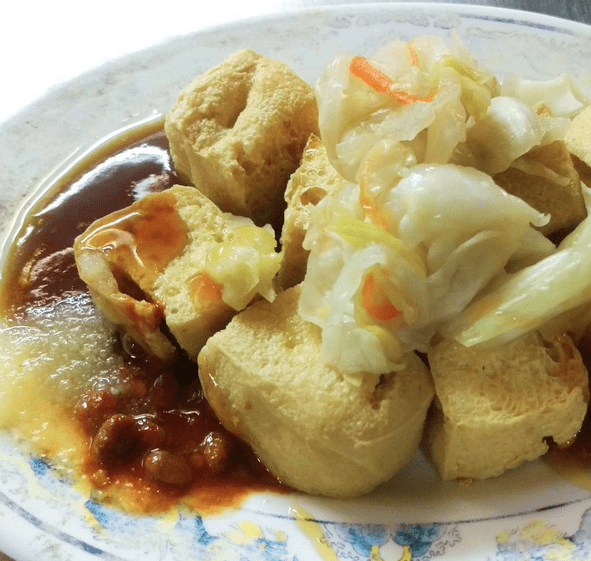 Stinky tofu is most popular fried and it reminds me so much of Taiwan night markets. The taste is fermented, similar to cheese with a sour and pungent taste to it also. It’s commonly served with pickled vegetables and a tangy, spicy chili sauce. Stinky tofu is made with a brining liquid, its this is the process that produces that crazy smell. My favorite way to eat pork blood is in a boiling hot pot. It doesn’t actually have much of a taste or flavor so it’s more of a textural thing – it’s soft and smooth. Pictured below it’s combined with rice. What I don’t understand is why it doesnt melt back into blood when its put in boiling water? One of my favorite dishes at dim sum, it can be a pretty shocking dish for someone who has never encountered anything like it before. Chinese people loves things with bones in the them for some reason, my mom has said “the more bones the better!”. This makes sense, bone-in meat is usually more flavorful. 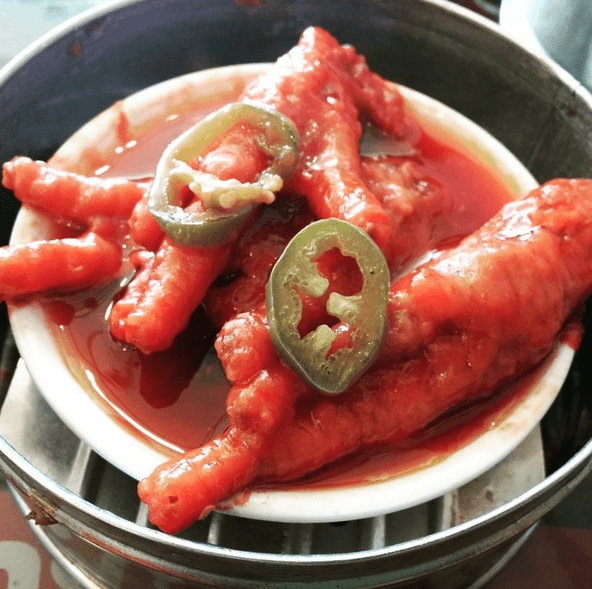 Chicken feet at dim sum are usually simmered for hours so that they become meltingly soft and gelatinous. I love that gelatinous mouth feel, also present in tendons and such! The sauce coating the chicken feet is also super delicious, it’s rich, sweet and tangy, like a Chinese barbeque sauce. Pork knuckle/ham hock, I always just called it pork feet, it’s what my mom would serve to me on special occasions like my birthday! The skin has a similar feel to the chicken feet, it’s gooey and jelly like with some yummy chunks of meat attached. My mom would usually serve it with noodles, kinda like the famous Taiwanese Beef Noodle Soup (GET RECIPE HERE) except with Pig Feet. 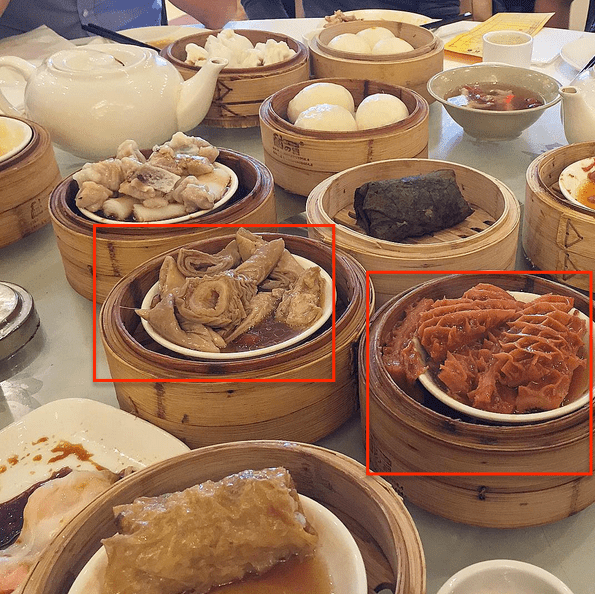 Pictured below on the left are large intestines and the Chinese like to eat them in many forms. My favorite form is deep fried and I am especially enjoying them now in the dry hot pots that are so popular all over San Gabriel Valley. Deep fried pork intestines are crunchy with a slightly chewy interior. 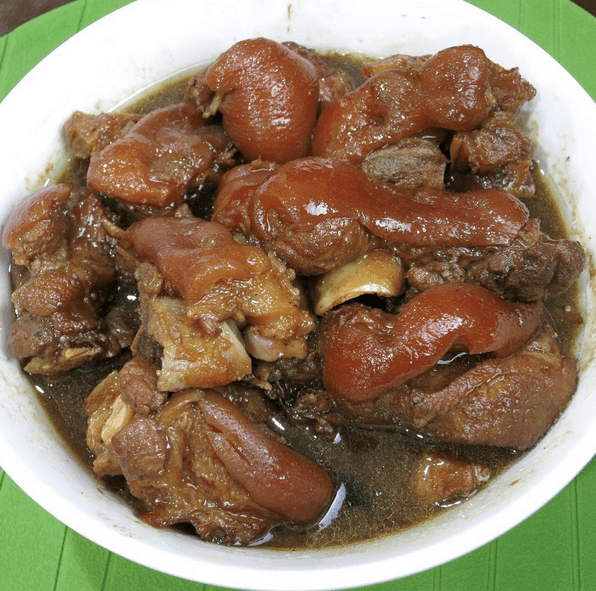 Stewed pork intestines are also good as pictured below as are small intestines! I also liked boiled intestines with a sweet dipping sauce on the side. Tripe is another one of my dim sum favorites, it has a honeycomb textures and is often served with stewed turnips. Tripe is just cow stomach and it has a similar texture to that of the the pork intestine, chewy and very soft. It stewed with soy sauce and brown sugar and often served with a chili oil sauce. My mouth is watering just thinking about it! Grass jelly is actually quite tasty even for an unadventurous food eater, but it has a weird name and looks super creepy. What is it? It’s made from a herb in the mint family. 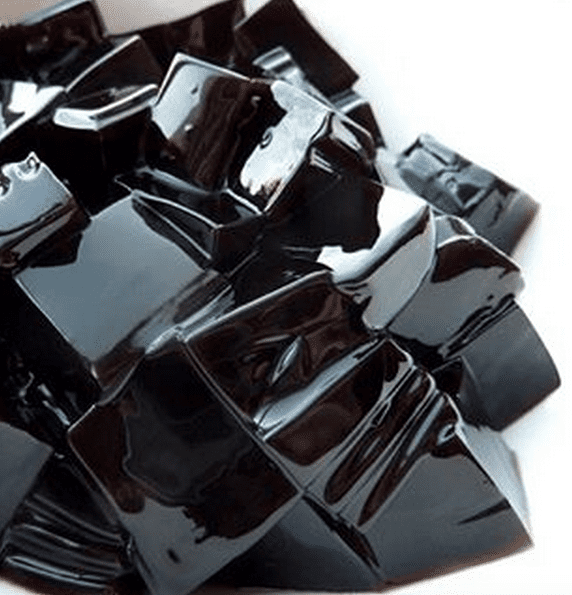 Still not sure why it’s called grass jelly…. It has a sweet, slightly lavender flavor and usually served with a sugary sauce, in shaved ice or at the bottom of a boba drink. I had the most delicious grass jelly drink ever at Black Rock this past week. 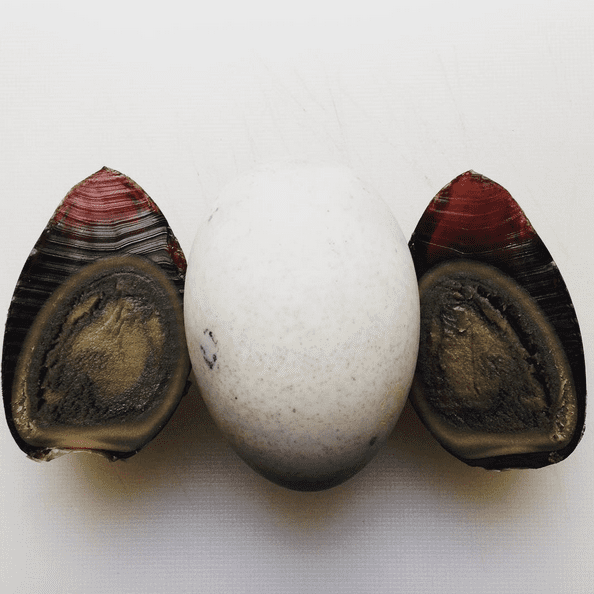 What are some weird and wacky foods that you love?